(TibetanReview.net, Jul14, 2016) – In an apparent move to boost the popular image of the 10th Panchen Lama chosen by it, as opposed to one recognized by Tibet’s exiled spiritual leader, the Dalai Lama, whom it has rendered disappeared since 1995, China is organizing a Kalachakra teaching by him from Jul 21 to 24. Tashi Lhunpo Monastery, the traditional seat of the Panchen Lamas, and the Buddhist Association in Xigaze (Tibetan: Shingatse) City had jointly announced the event, reported China’s official Xinhua news agency Jun 12. The venue will be the Tashi Lhunpo Monastery, which the Chinese Panchen Gyaltsen Norbu visits only occasionally, since he normally lives only in Beijing. The report noted that Kalachakra, which means the wheel of time, is a key ritual in Tibetan Buddhism, adding “it often draws a huge crowd” and is offered by senior monks. The report said no such service had been done in Tibet (Autonomous Region) in the past 50 years. This may refer to the last Kalachakra in Tibet given by the Dalai Lama in 1956, but also be a reflection on the restrictions on religious freedom that has remained in Tibet under Chinese rule. Explaining Gyaltsen Norbu’s credentials for giving the Kalchakra teaching, the report said he currently serves as (a) vice president of the Buddhist Association of China; that he has become an accomplished Buddhist leader; and that he has already given head-touching blessings to 1.5 million Buddhists. 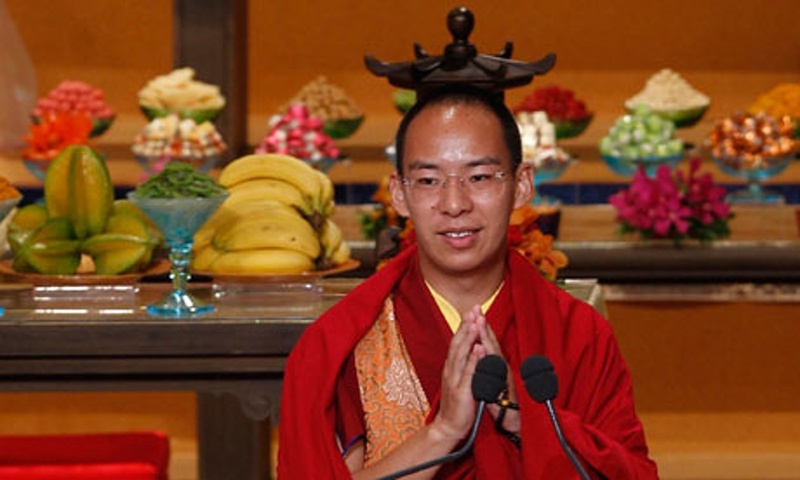 The report said the 9th Panchen Lama was the only Panchen Lama to have given the Kalachakra teaching, adding he did so twice, in Beijing and Hangzhou, in the last century. It added that several Tibetan Buddhist gurus had held the service in Tibetan prefectures in Gansu and Qinghai provinces. The report did not say anything about the 33 Kalachakra teachings given so far by Tibet’s exiled spiritual leader, the Dalai Lama, including at his summer palace of Norbulingkha in 1954 and 1956.